BRYAN EATON/Staff photo. 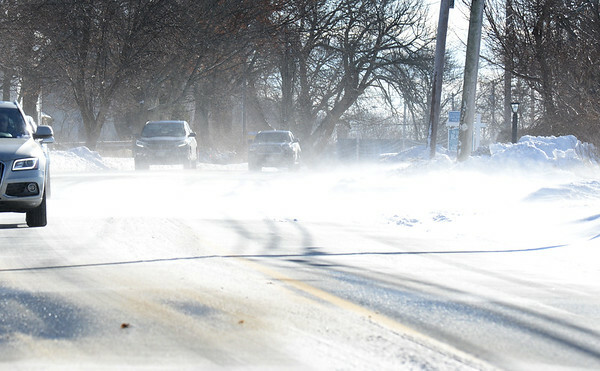 Tuesday's wind blows snow across High Road in Newbury creating drifts and curbing visibility and making the cold weather feel worse. Continued cold weather is in the forecast into the weekend.